The Coast Guard is searching for a lobsterman who went overboard near Doyle Island on Tuesday morning. Search teams recovered the body of a West Jonesport man who reportedly fell off a fishing boat near Doyle Island on Tuesday morning. The body of Scott Chandler, 51, was found at 5:10 p.m. on Oct 23 about 200 yards west from where he entered the water, according to releases from the U.S. Coast Guard and Maine Department of Marine Resources. Chandler was seen falling off a 20-foot lobster boat at 9:20 a.m. by nearby commercial seaweed harvesters who reported the incident, according to the Department of Marine Resources. 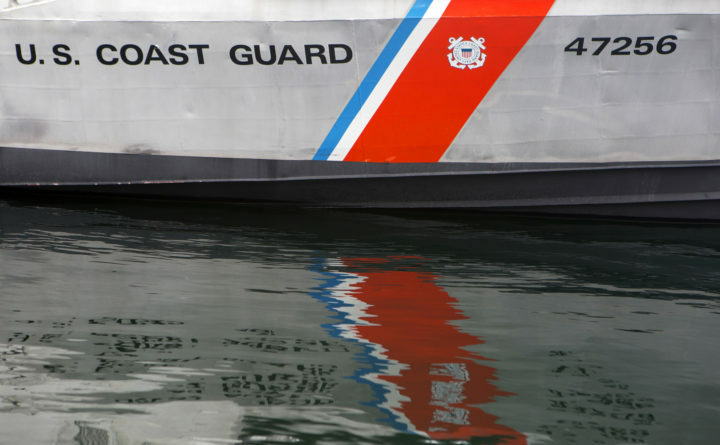 The incident occurred in the vicinity of Doyle Island, which is due west of Hopkins Point in Jonesport, according to U.S. Coast Guard spokesperson Chellsey Phillips. Chandler’s body was transported to a local funeral home, according to the Department of Maine Resources. Weather conditions in the area on Tuesday afternoon included waves roughly a foot high and light and variable wind, according to Phillips. She said rain started to fall around mid-afternoon, reducing visibility. The lobster boat, Marie Louise II, was taken to Station Jonesport for further investigation. The Marine Patrol and U.S. Coast Guard continue to investigate how Chandler fell into the water. Crews searched 233 square nautical miles on Tuesday. Station Jonesport, Air Station Cape Cod, Cutter Sanibel, Maine Marine Patrol, the Maine State Police dive team and the Maine Warden Service dive team assisted with the search.